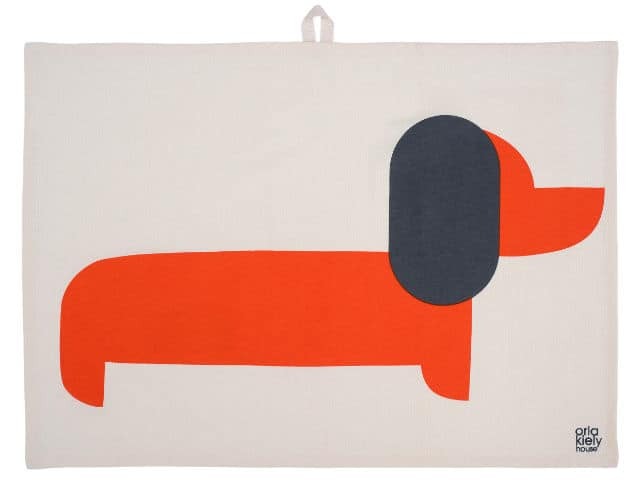 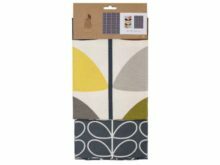 Bring a welcome dash of colour to your washing up with these Orla Kiely Dachshund Teatowel Persimmon Set of 2. 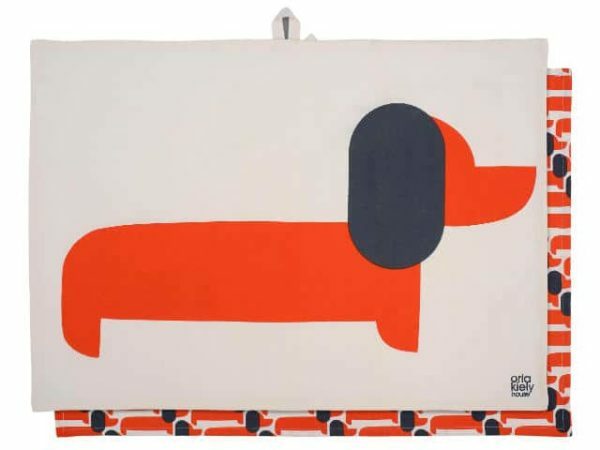 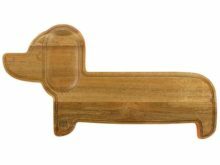 The vibrant design features the Dachsund print in Persimmon, the perfect addition any interior, whether retro or contemporary. 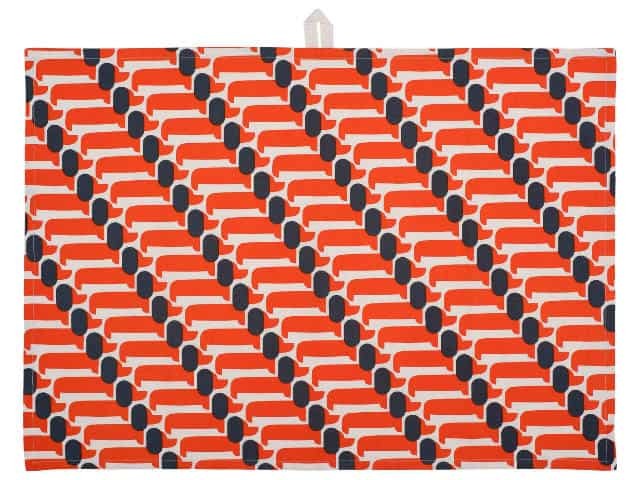 The set includes one large position print and one repeat pattern print, both made from 100% cotton. 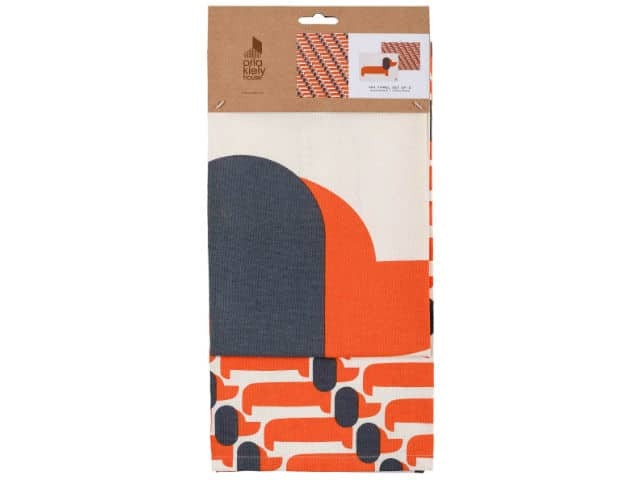 In addition, each teatowel includes a handy hanging loop to create an eye-catching kitchen accessory even when not in use.